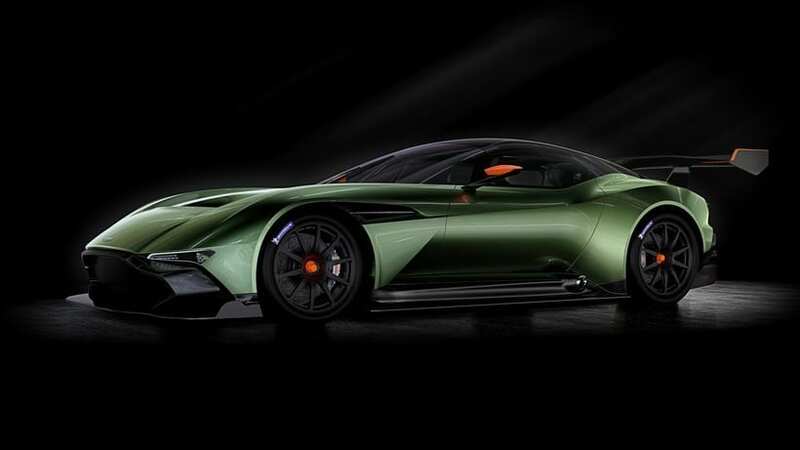 The Aston Martin Vulcan is a track-only supercar that delivers extreme performance born out of a rich company heritage and a thorough experience in both motor-sport and road cars. Equipped with a unique 7.0 liter V12 that produces over 800 hp under a full carbon fiber chassis, the Vulcan promises a near flight experience for its few lucky owners. I said few because there are only a total of 24 produced and the price tag is a whooping $2.3 million. The year was 2014 and the Italians at Ferrari wanted to celebrate their 60th year in North America, so they created something totally special. They’ve unveiled the beautiful F60 America limited edition, Stars and Stripes included. But what impresses even more is the powerful V12 engine and open-top driving which will give you the right thrills when speeding from 0 to 60 mph in 3.1 seconds. That is, if you happen to be one of the very few happy owners, since only 10 models will be produced. The price for this beautiful toy in the North American Racing Team livery is no less than $2.5 million. Named in honor of the Monegasque driver Louis Chiron, the ultra-modern Bugatti Chiron is testing the limits of physics. With a quad-turbocharged 8.0 liter W16 engine which can develop an unbelievable 1,500 hp, the Chiron pushes every boundary further and further away. Getting to 60 mph in less than 2.5 seconds and to a max speed of over 250 mph has been a dream few could achieve. 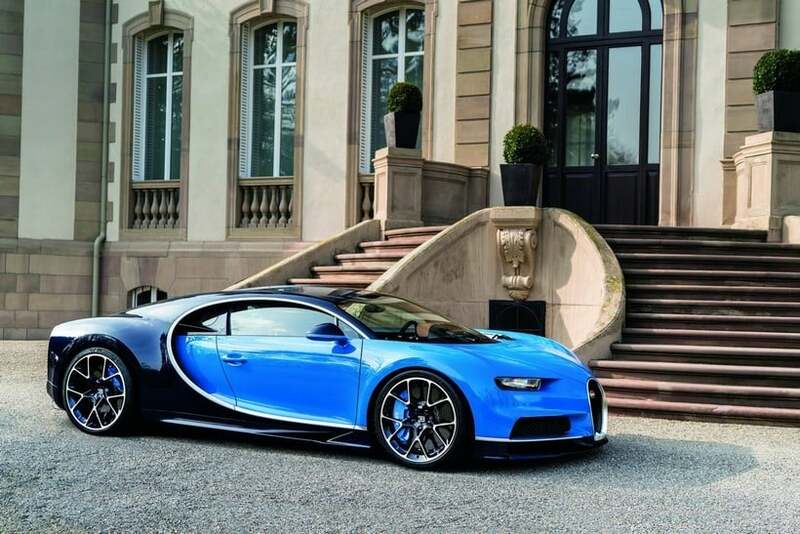 It is now possible with Bugatti’s new production sports car, which will be available to a limited number of 500 drivers for the cool price of $2.5 million. With a god like name, a 789 hp turbocharged V12, some lovely aerodynamic upgrades and a weight reduction over the base model, the aggressive looking BC will get you to 60 mph in 2.8 seconds and to a top speed of 239 mph, joining the ranks of the world’s most elite super-cars. The price for this rarity is $2.6 million. Yes, rarity since they’re only a total of 20. 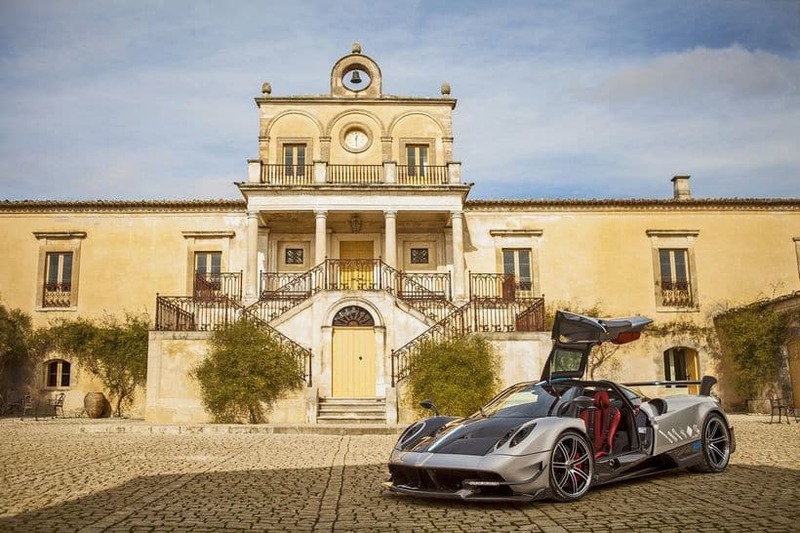 A masterful combination between art and science and limited only by the laws of physics, the LaFerrari FXX K delivers an unprecedented driving experience. The gorgeous bodywork shelters a state of the art 1,050 hp V12 engine developed with pure performance in mind. Speaking of bodywork, the aerodynamics is uncompromising. The surprise here, the K in the name comes from the KERS kinetic energy recovery system used to maximize performance on track. 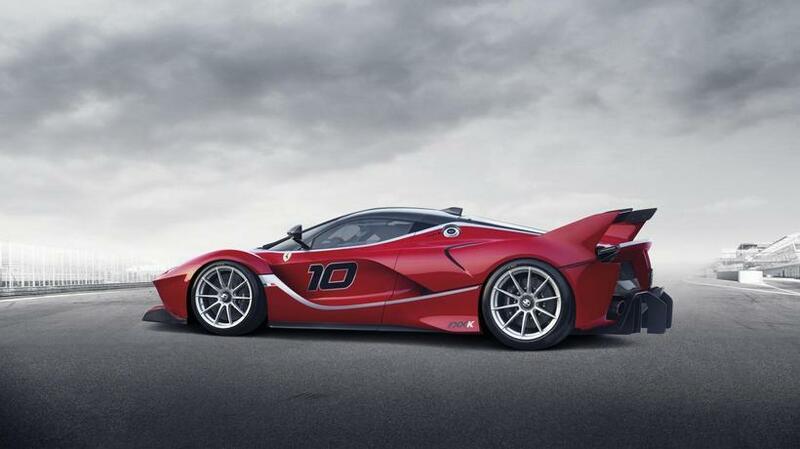 Since you’re probably wondering, the FXX K will never see a public road or a competition. It’s a track-only car made to dodge homologation requirements and regulations and deliver maximum efficiency. It’s available only for an exclusive group of clients for the price of $2.7 million. 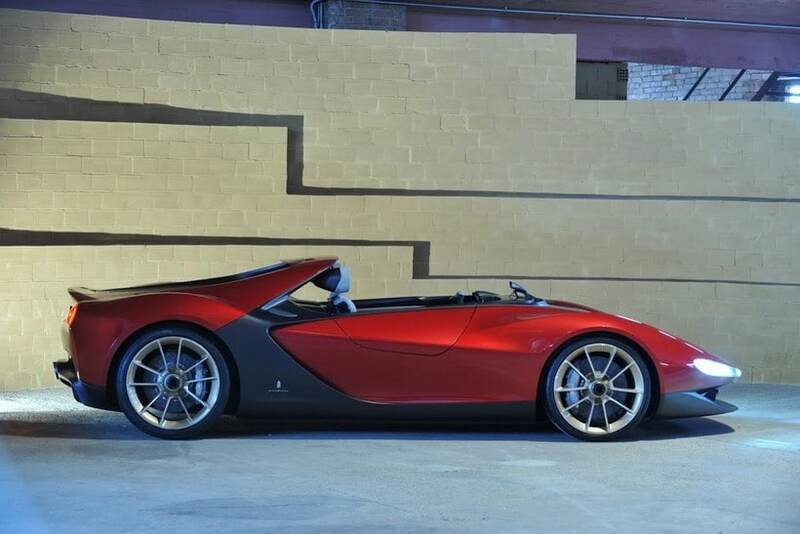 One of the most craved sports cars in the world is the Ferrari Pininfarina Sergio. The reason? Rarity and exclusiveness. There are only six in the entire world and money alone can’t buy it. The six cars are available by manufacturer invitation only. Or were, since they’re already sold out. Crafted in celebration of the man behind the legend, Sergio Pininfarina, the Ferrari Pininfarina Sergio expresses purity and sensuality in a sporty and racy manner, combining the modern with the spirit of the 60’s and 70’s. 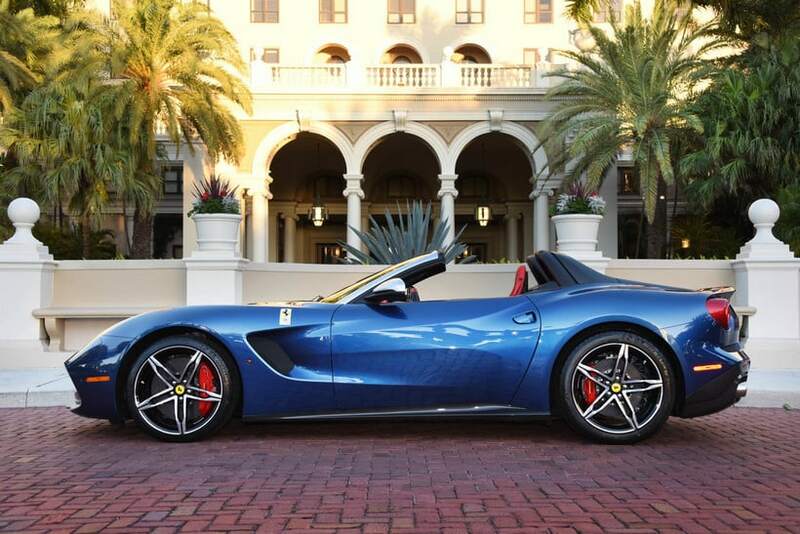 Born from the mold of the Ferrari 458 Spider, the new masterpiece comes with the same 4.5 liter 570 hp V8 engine, a top speed of 200 mph and a price tag of $3 million. Bugatti Veyron. Everybody knows it, everybody has heard about it, everybody goes crazy about it. But now, the Veyron got an upgrade from the passionate car artists at Mansory. The result, called Vivere, is a masterpiece of good traditional craftmanship and state of the art materials.The bodywork parts are made from ultra light and very strong carbon fiber. The superbly modified interior conveys both elegance and functionality, while the new exterior design refinements combine luxury and technical mastery. Add to that the 8.0 liter W16 engine and its 1200 hp and you get a dream, a powerful, beautiful dream. 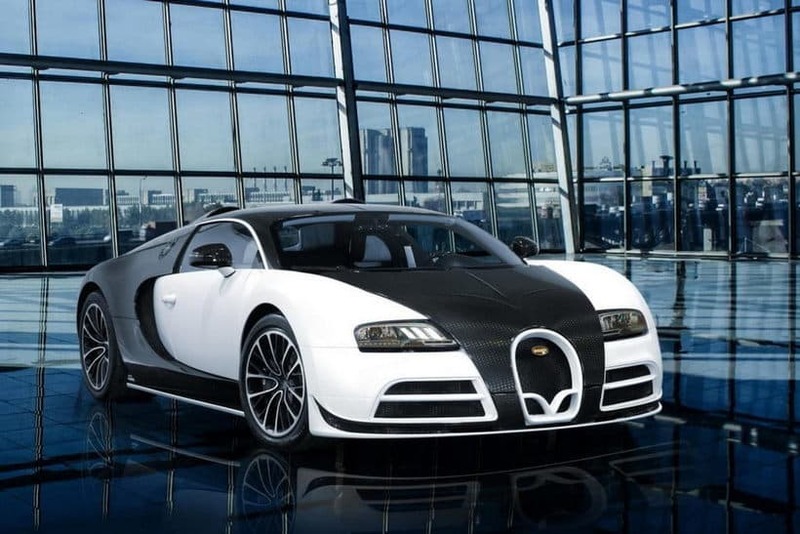 You get the Bugatti Veyron by Mansory Vivere. Well, if you have $3.4 million in your pockets. It looks as if it’s taken out of Transformers. It looks unearthly. 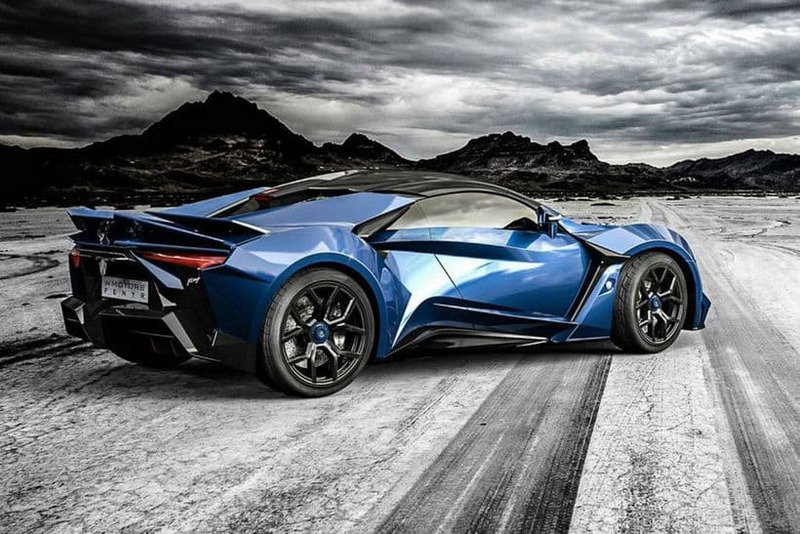 The W Motors Lykan Hypersport is a Dubai-based supercar which brags with a 3.7 liter twin-turbo flat-six 770 hp engine that can push the beast from 0 to 62 mph in 2.8 seconds and to a top speed of 240 mph. Don’t get all happy about it, as the Abu Dhabi police force got its hands on one of them too, so mind the speed regulations while there. And by the way, that means that only six of them are left. From headlights with embedded jewels and gold stitching on the seats to the holographic display system on the center console, this car is a combination between art and science fiction, with an interior that leaves you feeling like a spaceship commander. Oh, the price. It’s $3.4 million. For those who want a racing prototype that’s also fully certified for the road, the Lamborghini Veneno is the perfect choice. The alien shaped carbon fiber body gives a futuristic look to this fast and powerful Italian bull. It has the same 6.5 liter V12 as the Aventador but it’s been boosted to 739 hp. Pedal to the metal it tops at 220 mph and goes from 0 to 60 in 2.9 seconds.The aesthetic is ravishing, and the name says everything. 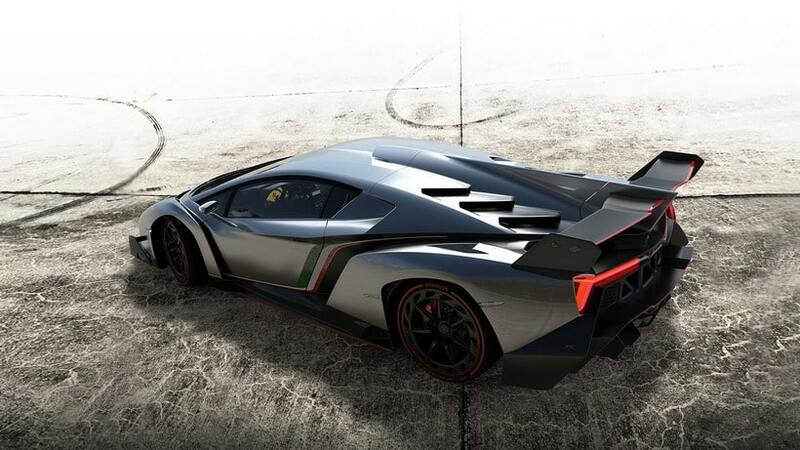 Veneno, in Spanish, means poison. A poison that costs $4.5 million. 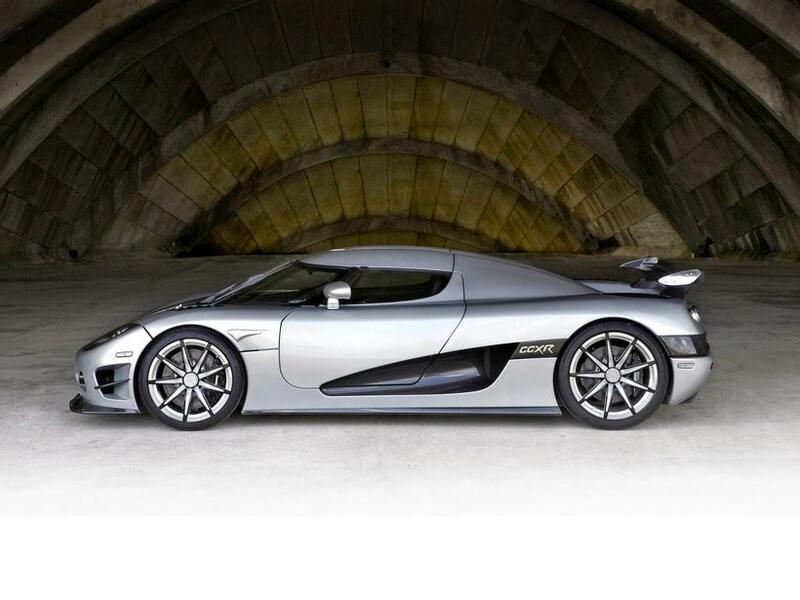 A diamond on wheels, the Koenigsegg CCXR Trevita is the most expensive road-legal sports car in the world. Until recently, carbon fiber was only available in black, but the Swedish manufacturer covered the Trevita with a unique coated fiber solution with a diamond finish which makes the car sparkle in the sunlight like millions of tiny white diamonds. Trevita means three whites in Swedish, as the automaker intended to create three of these marvelous cars, but due to the extreme difficulty of producing the white carbon fiber body, they only created two, one of which belongs to the legendary boxer Floyd Mayweather Jr. The white wonder is powered by a 4.8 liter V8 which produces 1,018 hp, has a top speed of 254 mph and accelerates from 0 to 62 mph in 2.9 seconds, but the number that matters most is this: $4.8 million.